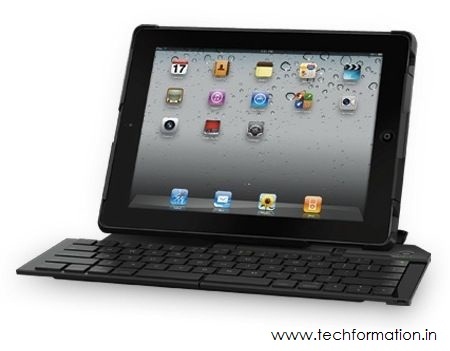 Attaching an external keyboard to iPad brings you ease to type anything like on a desktop. 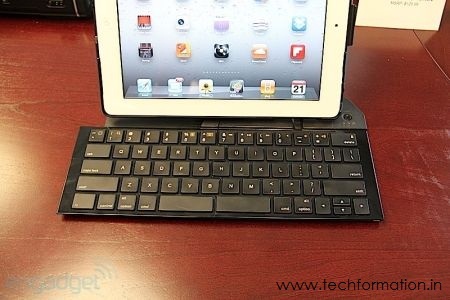 But you need to carry a keyboard every time. 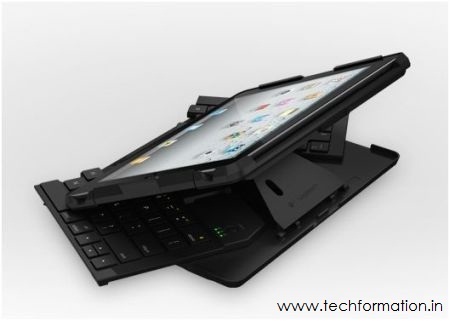 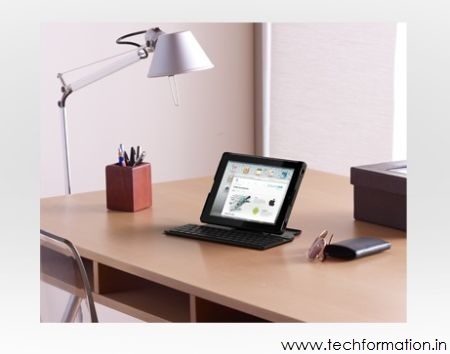 Instead, Logitech developed a 'Fold-Up keyboard' which can be attached to iPad 2 permanently. 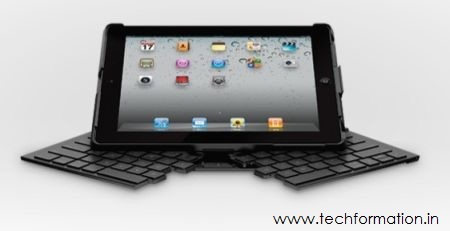 It will acts as a protective case and a stand. 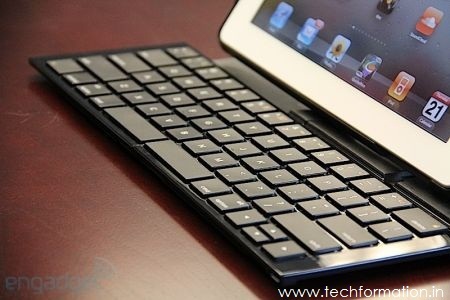 This Bluetooth keyboard is designed in such a way it is split into two halves. 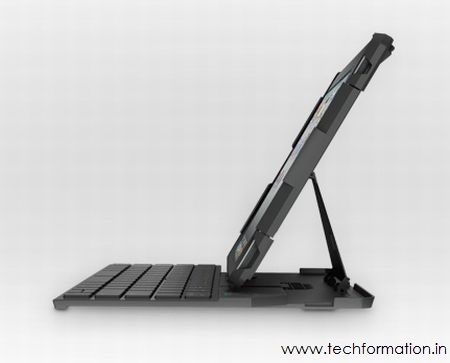 When needed, it turns out into a full sized keyboard and can be folded back after use and will be turned off automatically saving power.